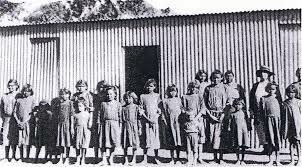 From 1909 until the late 1960s, many Aboriginal children in Australia were removed from their families, the so-called Stolen Generations. 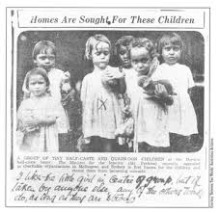 The sending of Aboriginal children to missions and to live with white families meant a great deal of emotional distress, as well as the loss of cultural and spiritual knowledge and Aboriginal identity. This policy was also part of a practice to assimilate Aboriginal people into the predominant white culture and breed out their colour. loss of cultural and spiritual knowledge and identity. The results [of these child removals] are a group of profoundly hurt people living multiple layers of traumatic distress, chronic anxiety, physical ill-health, mental distress, fears, depressions, substance use problems, and high imprisonment rates.